November 21, 2016 – Lake Worth, Fla. – Eastern Metal Supply’s (EMS) Third Annual Thanksgiving Food Drive began on November 1 and ended on November 18. 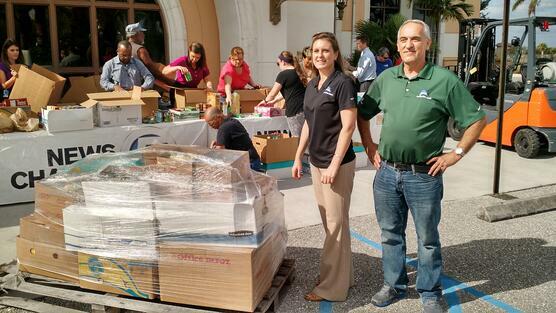 The over 450 employees at EMS’ five Florida locations collected and donated 2,860 pounds of non-perishable food items for food banks around the state, including WPTV Food for Families in West Palm Beach, Fla., Agape Food Bank in Lakeland, Fla., and Interfaith Charities of South Lee County in Fort Myers, Fla. The annual food drive is spearheaded by Human Resources Director Kristyn Endler. Each item that employees donate earns them a raffle ticket for entry into a prize drawing. The employees collected over 360 pounds more than they did for last year’s food drive. The food drive has become one of EMS’s largest charity projects each year. Eastern Metal Supply (EMS) is a distributor of standard and custom aluminum extrusions and sheet products including hurricane shutters, architectural products, railing, decking, sign extrusions, and marine extrusions and accessories. Just-in- time delivery programs allow customers to order materials as they need them – freeing up valuable floor space and maintaining cash flow. 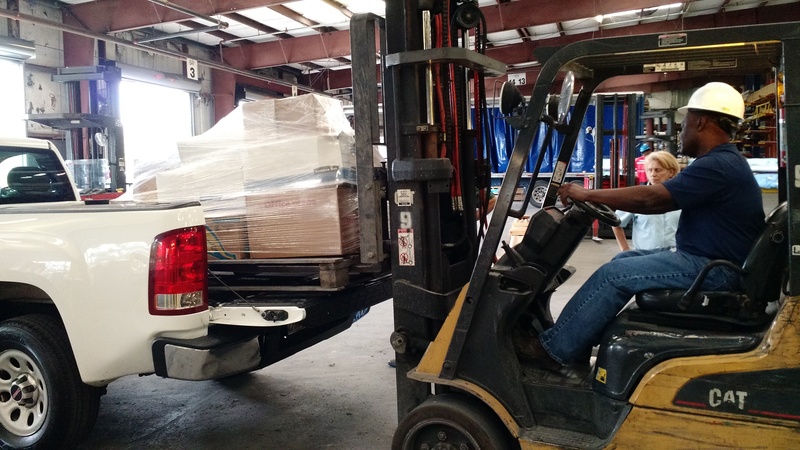 With various warehouses throughout Florida and aluminum fabrication services, EMS saves customers time and money—thereby helping them to improve their bottom line. EMS has a 30-year reputation as a first class supplier of aluminum products and is headquartered in Lake Worth, FL. For more information on Eastern Metal Supply, please visit www.easternmetal.com.